Online protests calling for the boycott of Walmart over the sale of a shirt that says "Impeach 45" seem to have finally made a difference. 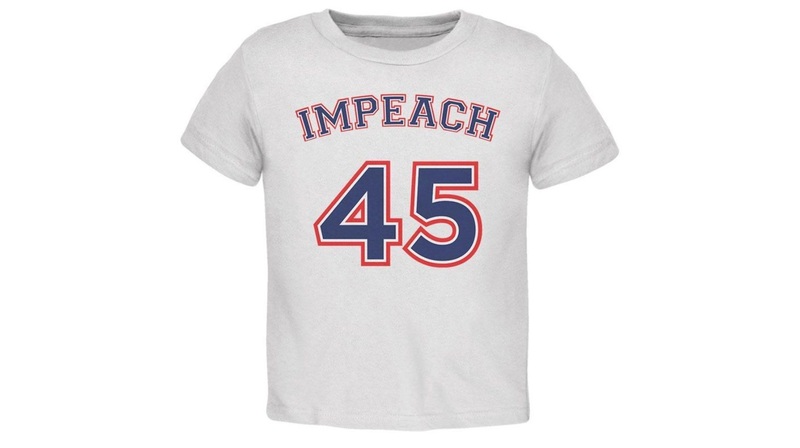 The call to boycott the chain prompted Walmart to pull the "Impeach 45" shirts from their website. Walmart issued a statement Tuesday afternoons saying, "These items were sold by third-party sellers on our open marketplace, and were not offered directly by Walmart. We’re removing these types of items pending review of our marketplace policies." If that response sounds familiar, maybe that's because it is very similar to a brief statement issued by the chain last December when an advocacy group for journalists protested and subsequently got a shirt removed that said, "Rope. Tree. Journalist. SOME ASSEMBLY REQUIRED." That incident's statement read, "This item was sold by a third-party seller on our marketplace and clearly violates our policy. We removed it as soon as it was brought to our attention, and are conducting a thorough review of the seller’s assortment." The hashtag #BoycottWalmart began trending all day Tuesday as conservatives who were offended by the range of clothing including sweatshirts and baby clothes that featured the message. It does not appear to be a single vendor which supplied the shirt but rather multiple manufacturers appeared to offer the products. The conversation soon escalated into an argument with opposing sides taking shots back and forth. Walmart does currently sell a wide range of pro-Trump merchandise his iconic "Make America Great Again" hats. Boycott Walmart, Amazon, Facebook, Twitter. Use Sears/JC Pennys, Ebay, Minds, and Gab instead. Maga! If Walmart had any integrity, it would fire the person(s) responsible for supplying this garbage.